The Daesh terrorist organization, which still has the potential to carry out mass attacks in Turkey, had carried out deeds that hurt us like the Reina massacre during former U.S. President Barack Obama’s last term in office. We are aware that it has carried out no major demonstrations since the day Obama left. Right at a time when Turkey-U.S. relations became strained, the U.S. ambassador saying, “Daesh has not been carrying out any demonstrations in Turkey for the last nine-and-a-half months thanks to us,” was really a matter that required consideration. Thank God that the security forces must have also shown this sensitivity that the bloody attack Daesh was planning to carry out on Republic Day was prevented at the last minute. A huge blow was dealt to the terrorist organization that wanted to turn Istanbul into a bloodbath. The congratulations to the Istanbul Police. The Daesh terrorists, who were preparing for an attack on a shopping mall in Bayrampașa with a bomb-laden vehicle, were quickly caught. In the operation, numerous terrorists in cells were also caught. The state is fighting relentlessly against all organizations, primarily Daesh and the Kurdistan Workers’ Party (PKK) terrorist organizations. In light of this report, we can ask a few questions in relation to the motivation of the Daesh members who turned toward a mass attack in Bayrampașa. For example, how many of those caught in Bayrampașa and in the terror cells are Turkish citizens? Why did Daesh wait until now to carry out a mass attack? Is there any relationship between Turkey and the U.S.’s “agent crisis” and Daesh’s decision to carry out an attack? 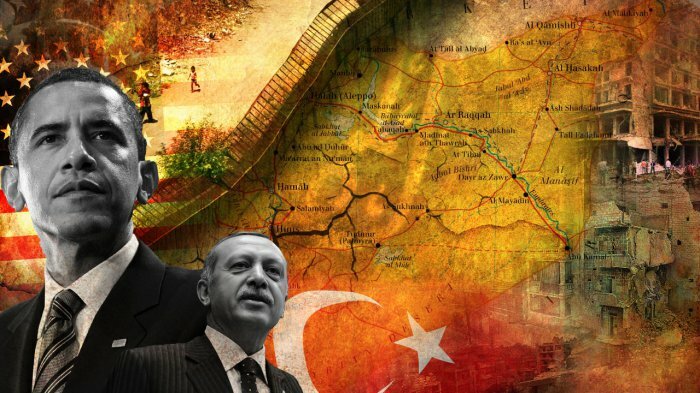 What is the impact of the strategic achievements accomplished against the terror corridor, wanted to be established in northern Syria, on Daesh’s mass attack motivation? The answers we find to these questions will, without a doubt, lead us to a result. © 1183 ПОЛИТИЧЕСКИЙ ОБОЗРЕВАТЕЛЬ МУСУЛЬМАНСКОГО МИРА. All rights reserved.